All items for delivery are labelled, barcoded and scanned before despatch. 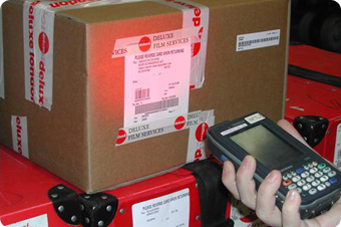 Every stage of the delivery process through to safe receipt at the cinema is logged and timestamped using barcode scanning. The scans and transport history of ecah consignment can be viewed online.